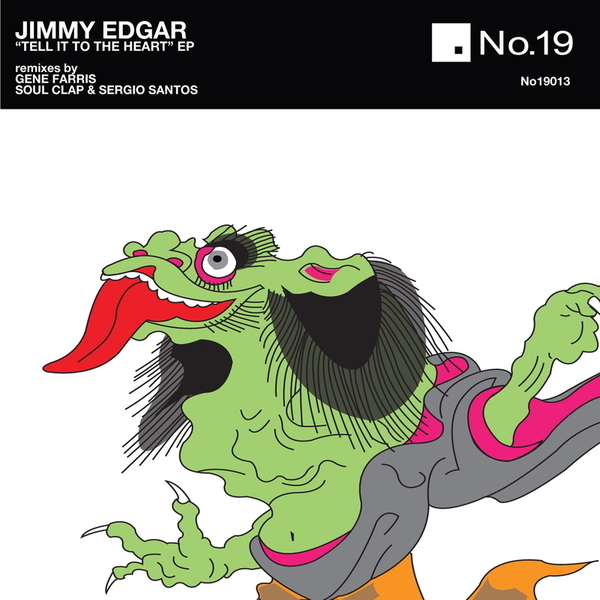 Jmmy Edgar expands his broad palette with three deeper minimal tech-house tracks fro No. 19 Music backed with remixes from Gene Farris and Sergio Santos. 'Tell It To The Heart' is the most impressive, using his electroid edit knowledge to spin the rhythm around a tidy deep house groove with haughty strings and stabs. 'Cerulean Penetration' opts for a more muted, but sparkling tracky minimalist arrangement and 'Seven Mile' flirts with old-skool Detroit boogiefunk vibes inna 2010 style. Gene Farris gives a staright playing but lackluster house mix of 'Cerulean Penetration' and Sergio Santos pivots off some heavy clappin' action for his Beantown edit of 'Seven Mile'.